Here's a poster I just did for Terror Discotheque, a Hallowe'en-themed event being put on at Bournemouth's ibar by the Supermixkids, the nice folk behind the TearsB4Bedtime and Disco As A Weapon nights, and local Italo-disco evangelists. 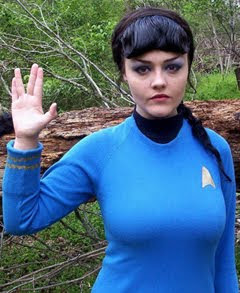 A real Vulcan Princess, yesterday. Now, I was recently reminded of just how amazing the track Vulcan Princess (the Sensurreal New Funk Mix) by Gerd is, thanks to a scarily on-point random itunes selection on a hungover morning (the last Sunday of Haarfest in fact) when I was particularly in need of a sonic cuddle. So.. it didn't take me too long to start thinking about drawing a zombie Vulcan princess for this! Quite pleased with the results, although my posters always look a bit clumsy to me. Bit too busy. Ah well. It's a busy time of year. Speaking of busy..
Stan knows what's going on. 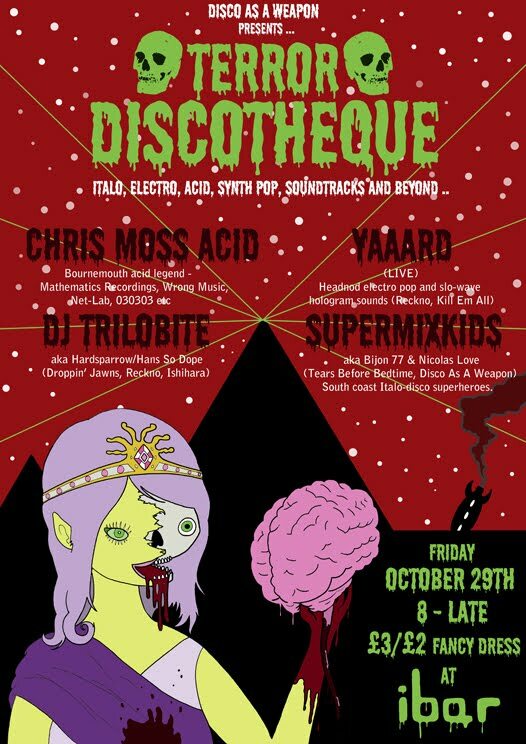 Peanut Snake's own resident tune-slinger, DJ Trilobite, will also be spinning some ominous slabs at this exciting event, joining a killer line-up featuring Chris Moss Acid, Yaaard and the Supermixkids themselves.. so slap some white make-up and blood blobs on your face and get on down to this great evening of spooky disco, electronic blobnod, and maniacal acid!